Lisa has been the Secretary of federal government departments between 2004 and 2016. She was first appointed Secretary of the Department of Education, Science and Training by Prime Minister John Howard. She was reappointed Secretary of the Department of Education, Employment and Workplace Relations by Prime Minister Rudd, and reappointed by Prime Ministers Julia Gillard, Tony Abbott and Malcolm Turnbull. As Secretary Lisa worked with Cabinet Ministers Brendan Nelson, Julie Bishop, Julia Gillard, Simon Crean, Peter Garrett, Chris Evans, Bill Shorten, Christopher Pyne and Simon Birmingham and many non-Cabinet ministers. After 32 years of non-stop work in the public sector, Lisa decided to move to the next stage of her career and pursue further her passions of leadership, digital disruption and continuing to make a positive difference, in the private sector and not-for-profit sector. So far Lisa has joined the Boards of two listed companies, one private company, Navitas and the Government's Naval Shipbuilding Advisory Board. She holds an Enterprise Professorship part-time at the University of Melbourne, is a Counsellor of Bond University, and sits on the Boards of several not-for-profits including Social Ventures Australia. 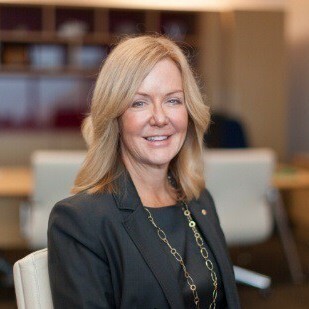 She is a National Fellow of the Institute of Public Administration Australia, an Australian National University Policy Fellow, a Fellow of the Australian Institute of Company Directors, a Fellow of the Australian Council for Educational Leaders, a Fellow of the Australian Institute of Management, a member of Chief Executive Women and a Fellow of the Australian and New Zealand School of Government. She is a former director of the Programmed Group, former non-executive director of Advanced Personnel Management (APM) Group as well as a member of the Advisory Board to the Melbourne Accelerator Program (MAP) and Enterprise Professor-Public Policy at the University of Melbourne. Lisa was made an Officer of the Order of Australia (AO) in 2011. In 2003 Lisa was awarded a Public Service Medal for coordinating the federal Government's domestic response to the Bali bombings. In 2011 Lisa was awarded federal government leader of the year by the Institute to of Chartered Accountants. In both 2005 and 2007, Lisa's Departments won the Australian Human Resource Institute's national award for excellence in people management. Lisa grew up in Adelaide and moved to Canberra to attend the Australian National University.